A recent discovery online has been one of the serials whose instalments were a weekly highlight of life for cinema-goers in the 1930s. Pretty much every major genre was represented in these movies, which broke a longer story into 10-12 chapters like a pulp fiction novel for the silver screen, but the antics of Tailspin Tommy take some beating. Just look at the hardware on show in these first two chapters of Tommy’s first tale! There’s an entire encyclopaedia of US Navy aviation in the Thirties on screen almost throughout the film, with the added joys of some proper barnstorming aerobatics. Tailspin Tommy himself was a creation of comic strip artist Hal Forrest, a former WW1 pilot, who sought to capitalise on the popularity of barnstorming and the surge in popularity of aviators thanks to the record-breaking exploits of Charles Lindberg et al. Tommy Tomkins made his comic strip debut in four newspapers during 1928, but such was the thirst for air-related yarns that this rose to 250 newspapers by 1931! The central character was America’s answer to Biggles, an aircraft-obsessed teenager from Littleville, Colorado who comes to the aid of an airman in trouble and earns himself a job with Three Point Airlines in Texas. Once in Texas, Tommy soon earns his wings as a pilot and picks up a new best friend, Skeeter Williams, and a girlfriend, Betty Lou Barnes, and the tree of them buy shares in Three Point Airlines. Along the way the trio have many and varied adventures throughout the USA, usually with a ticklish problem to solve. Hollywood soon beckoned and Universal snapped up the rights to these adventures. The first movie serial, Tailspin Tommy, appeared in 1934 as a 12-episode tale in which Tommy must help Three Point Airlines overcome an unscrupulous rival to win a major contract. Not only that but he must win Betty Lou’s heart from a rival suitor. The second serial, Tailspin Tommy and the Great Air Mystery, is where the above clip hails from – an altogether bigger and more ambitious production. Tommy must stop a corrupt businessman from stealing vital oil reserves, and along the way befriends an investigative journalist played by screen legend Pat O’Brien. This was to be the last of Tommy’s serial adventures, although he would return for four full-length movies later in the 1930s. The cinema-going public’s affections had switched from air-minded melodrama to the utterly fantastical, which was good news for one of the stars of the Tommy Tomkins movies – Jean Rogers. From playing the businesslike, if slightly flighty, Betty Lou Barnes she went on to become a genuine Hollywood icon playing Dale Arden, the love interest of Buster Crabbe’s Flash Gordon in the greatest serial of them all. The Shuttleworth Collection is one of Britain’s best-loved transport museums: a haven where the exhibits really do come to life and the only place in the world where you can often see a real 1909 Bleriot monoplane take to the air. But while its living, breathing artefacts are well-known, perhaps its ‘founding father’ is a little less so. 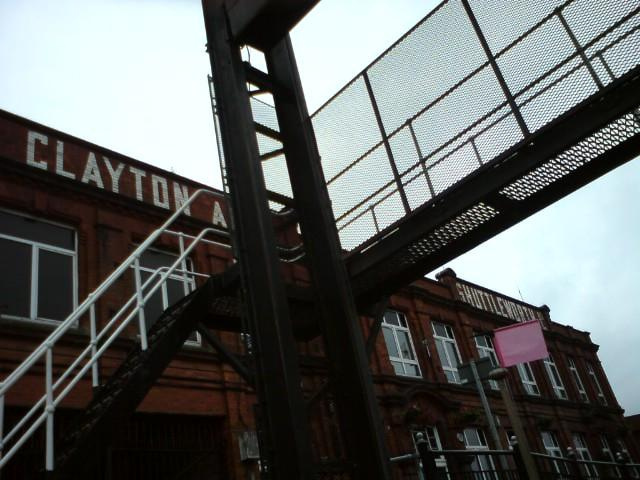 The Shuttleworth family originally came from Dogdyke in Lincolnshire, where this corner of the industrial revolution saw Joseph Shuttleworth ally his boat-building business with his brother-in-law Nathaniel Clayton’s iron foundry. Together they began to build steam engines and the new agricultural machinery that began to mechanise the British landscape in the late 19th Century. The Claytons and Shuttleworths bequeathed a thriving business to their children, with Joseph Shuttleworth’s younger son Frank enjoying a privileged upbringing and education in Germany and France and becoming an accomplished yachtsman. His chosen career was as an officer in the cavalry, while also becoming a successful steeplechase jockey; buying an estate at Old Warden in Bedfordshire from which to breed horses. At the ripe old age of 57 he settled down and married Dorothy, the beautiful 23-year-old daughter of Old Warden’s vicar, in 1902. The couple were blissfully happy, despite the age gap, taking a round the world trip in 1906 before Dorothy gave birth to a son, Richard, who was born in 1909. Frank died just four years later, but his legacy of adventure and adrenaline lived on in his young son. 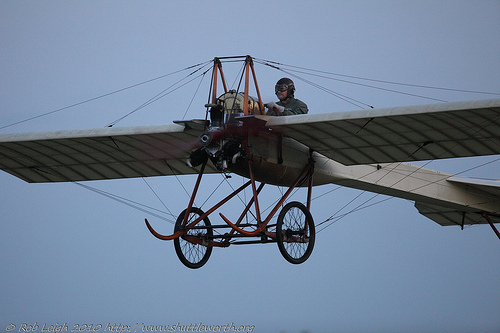 Richard developed an abiding passion for aviation, enhanced no doubt by the fact that the Clayton and Shuttleworth factories were given over to war production during World War 1. 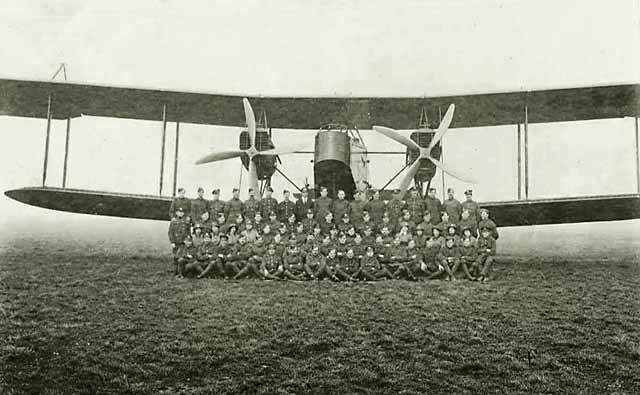 Clayton and Shuttleworth became a major aircraft constructor and, in so doing, built a wide range of machines from the nimble Sopwith Camel fighter to the gigantic Handley Page 0/400 bomber. Perhaps in anticipation of an inherited reckless streak, Richard’s father had ensured that his inheritance was to be held in trust until he turned 23. This prompted some inventiveness from the young scion to ensure maximum thrills on a tight budget – he chose to buy and tun old cars, taking part in the London to Brighton Run from the age of 19 at the wheel – or tiller – of a variety of pioneering pre-1906 machinery. This was often done in the company of boisterous friends and peers, while Shuttleworth’s ebullience at the controls gave nim the nickname ‘Mad Jack’ which was to become very much part of his persona. Once he turned 23, however, Richard’s massive resources allowed him to indulge all his passions, and he immediately learned to fly, buying the Bleriot and Deperdussin monoplanes which remain at the heart of his collection today. Aircraft were one passion but motoring was another. As his contribution to the family business, Richard invested heavily in Noel Macklin’s new Railton sports car marque. 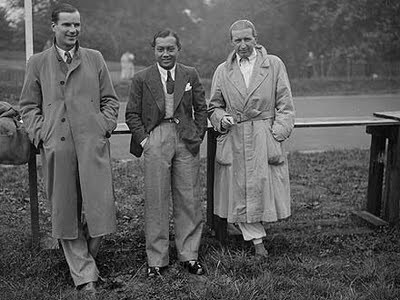 For his own motoring ambitions, meanwhile, he bought a Bugatti Type 51 Grand Prix car and won the Brighton Speed Trials. 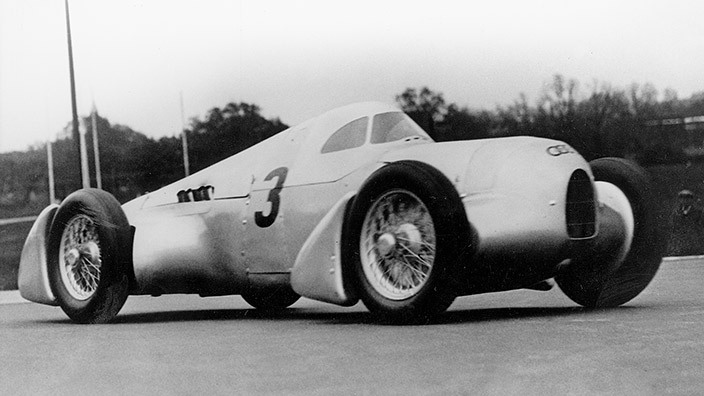 He upgraded the Bugatti to a brand new Alfa Romeo P3 in 1935. The green-painted Alfa won the Brooklands Mountain Championship and ran competitively alongside the works cars of Scuderia Ferrari in Europe, but Shuttleworth’s finest hour came in the inaugural Grand Prix held at Donington Park circuit in Leicestershire at the end of the season. 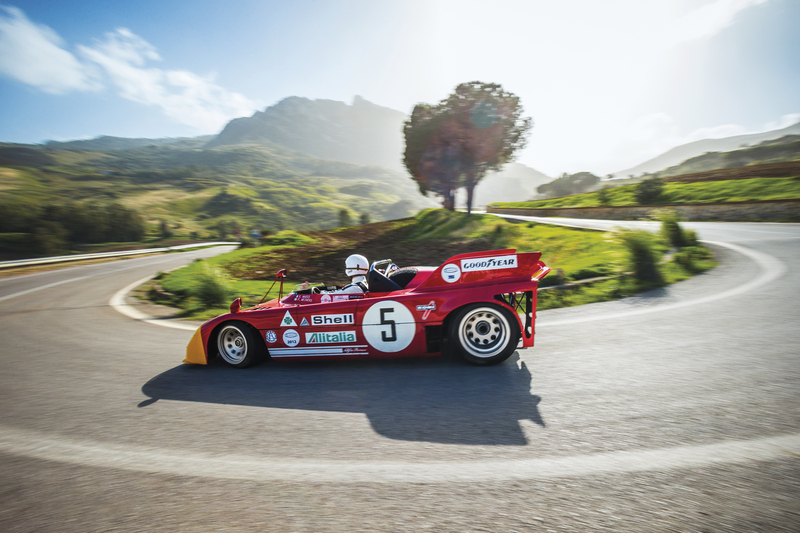 It was a weekend of foul weather and the ‘crack’ Ferrari-entered Alfas of Giuseppe Farina and Raymond Sommer held sway through the early stages of the race. Shuttleworth ran in fourth but spun while attempting to remain on the lead lap and appeared to be out of the running completely. In desperation he ditched the blue and white cork crash helmet and visor, opting instead to race bare-headed in just a pair of goggles as he attempted to fight his way back into contention. 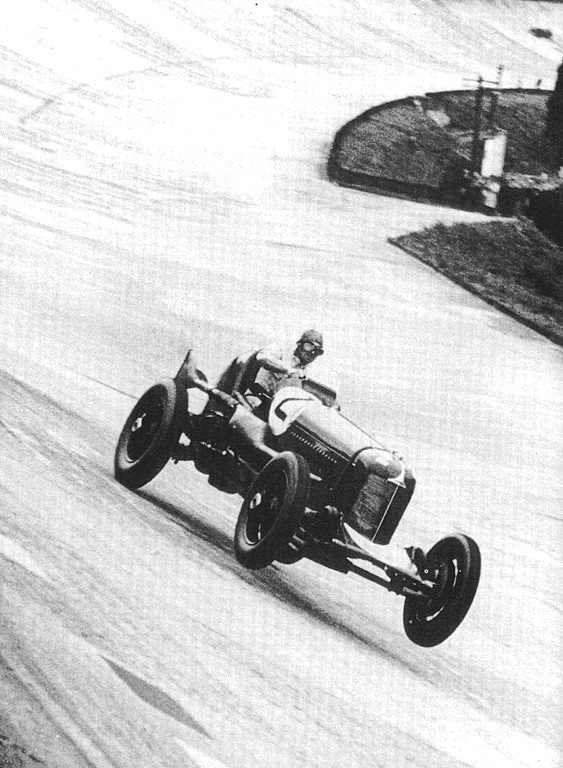 ‘Mad Jack’ was to the fore, powering the Alfa through the many bends of the parkland circuit in a string of lurid slides with his hair blowing in the wind… meanwhile the works Alfas hit trouble, leaving the British drivers a clear field. 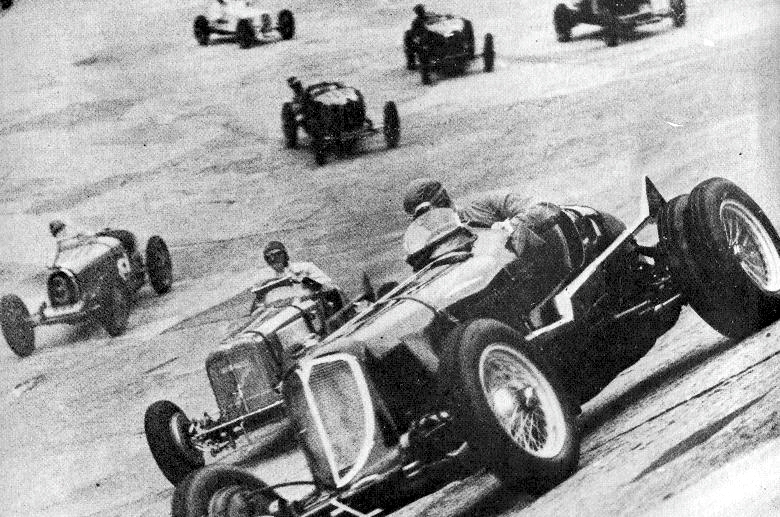 The two Bugattis of Earl Howe and Charlie Martin looked to have the race sewn up, but Shuttleworth kept charging and when the more experienced men spun in the aqwful conditions he was able to pounce, In the end he finished 45 seconds clear of Howe’s Bugatti to claim a memorable victory – and his finest racing achievement, taking home the Donington Park Challenge Trophy and £400 for his efforts. 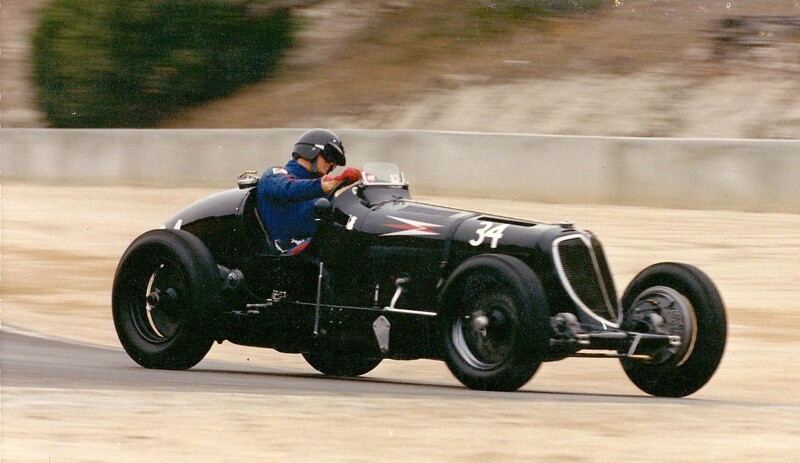 Early in 1936, Shuttleworth took his Alfa to South Africa and entered the East London Grand Prix. 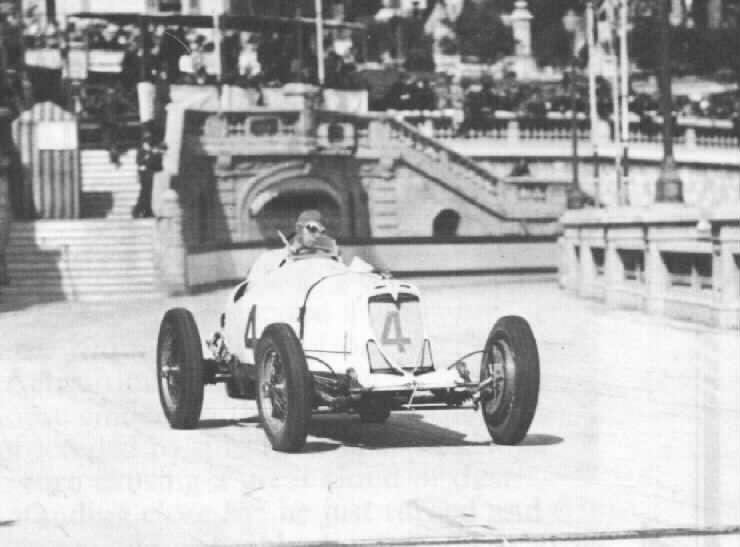 He lost control of the car at speed and suffered career-ending injuries – preferring to dedicate himself to aviation, except for his outings on the annual London to Brighton jaunt. At the outbreak of World War 2, Richard joined the Royal Air Force. For all his enormous experience, however, he was killed in an accident while piloting a Fairey Battle bomber over Oxfordshire while practicing night flying. His mother, although devastated by the loss of her son, set up the mansion as a Red Cross Convalescent Home for injured airmen and created a small chapel, dedicated to Richard. 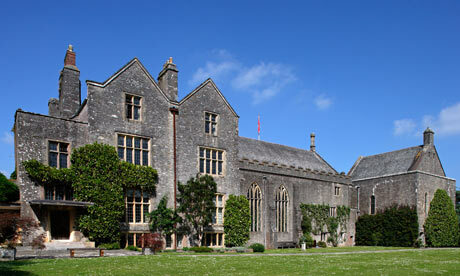 In 1944 she decided to place the estate in a charitable Trust in memory of her son; she wanted to ensure that it would continue as one entity to be used for the purpose of agricultural and aviation education, two interests that Richard was especially keen on. Shuttleworth College first opened its doors to students in 1946 and remains as part of the modern Bedford College. Richard’s collection of historic aircraft and cars were also preserved in working order, opening to the public in 1963. The Collection has since grown in scale and stature, while the family home at Old Warden Park is now also a renowned conference venue and is also home to the English School of Falconry. In the 1950s, Airfix released its first 1/72 scale model aircraft kits. The Spitfire was first of course, but among the aviation icons that followed soon after was the pre-war de Havilland Comet racer, hero of the 1934 MacRobertson Air Race and several other record-breaking flights through the late 1930s. It was astonishingly basic, with just 24 pieces to glue together and a single colour to paint. 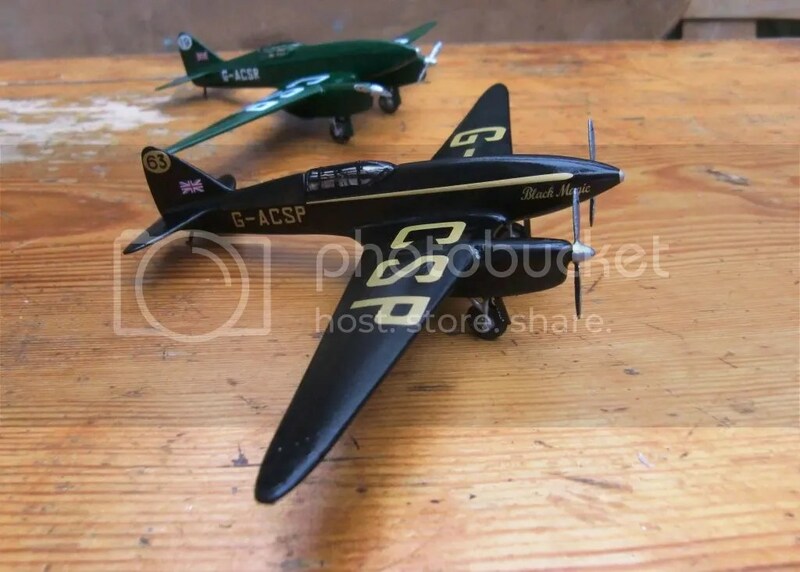 Recently, Airfix has reissued the kit for the umpteenth time but, this time, there’s a twist: rather than the winning aircraft from the 1934 race, ‘Grosvenor House’, it has released its two stablemates: ‘Black Magic’ and the unnamed aircraft known to all as ‘The Green’Un’. The passage of 60 years and many, many hundreds of thousands of kits stamped out from the original moulds makes the kit quite hard work at times… sandpaper, plastic filler and a decent stock of swear words are required. But the results – even for a rank amateur such as myself – are well worth the investment in my view. Now here is a great way to spend less than 10 minutes – enjoying the sights and sounds of the MacRobertson Trophy Air Race, which took place in October 1934 and created the legend of the De Havilland DH.88 Comet. The race was devised by the Lord Mayor of Melbourne as part of the great Australian city’s centenary celebrations, and a prize fund of $75,000 was put up by Sir Macpherson Robertson, a wealthy Australian confectionery manufacturer, on the conditions that the race be named after his MacRobertson confectionery company. The race was organised by the Royal Aero Club and would run from Mildenhall airfield in East Anglia to Flemington Racecourse, Melbourne. There were five compulsory stops in Baghdad, Allahabad, Singapore, Darwin and Charleville, Queensland – but between these points the competitors could choose their own routes. A further 22 optional stops were provided with stocks of fuel and oil by Shell and Stanavo. The basic rules were: no limit to the size of aircraft or power or to crew size, but no pilot was permitted to join the aircraft after they had left England. Each aircraft had to carry three days’ rations per crew member, plus floats, smoke signals and efficient instruments. There were prizes for the outright fastest aircraft, and for the best performance on a handicap formula by any aircraft finishing within 16 days of the outright winner. Take off date was set at dawn on October 20, 1934. The announcement of the race and the generous purse ensured that 60 entries were registered, but of these only 20 made it to the start line. Among them was the trio of purpose-built designed de Havilland DH.88 Comet aircraft, which were planned as soon as the MacRobinson race was announced. 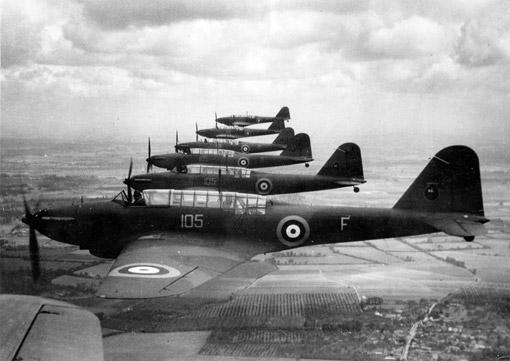 They were pre-sold to customers at a cost of £5,000 -each – significantly less than the cost of designing and building these advanced aircraft – because the de Havilland company felt that such a ‘loss leader’ was worth it if it ensured a British victory. Against the Comets, the stiffest competition was expected to come from the advanced American all-metal passenger airliners, such as the Douglas DC-2. Nevertheless the field featured aircraft of every size and type by the time the race got underway. First off the line, watched by a crowd of 60,000, were Jim & Amy Mollison (nee Johnson) in their Comet named ‘Black Magic’, and these two celebrated aviators were early leaders in the race until forced to retire at Allahabad with engine trouble. This left the scarlet Comet named ‘Grosvenor House’ and flown by Flight Lt. Charles Scott and Captain Tom Campbell Black well ahead of the field. This racer went on to win in a time of less than 3 days, despite flying the last stage with one engine throttled back because of an oil-pressure indicator giving a faulty low reading. The third Comet was the green-painted example that was bought by the celebrated aviator and racing driver, Bernard Rubin. This aircraft had no name, but its colour scheme evoked strong memories of the Bentley team of which Rubin had been a key member during its triumphs at Le Mans. Originally Rubin was to have flown with K.F.H. Waller but he was taken ill, so Waller instead flew with O. Cathcart-Jones. 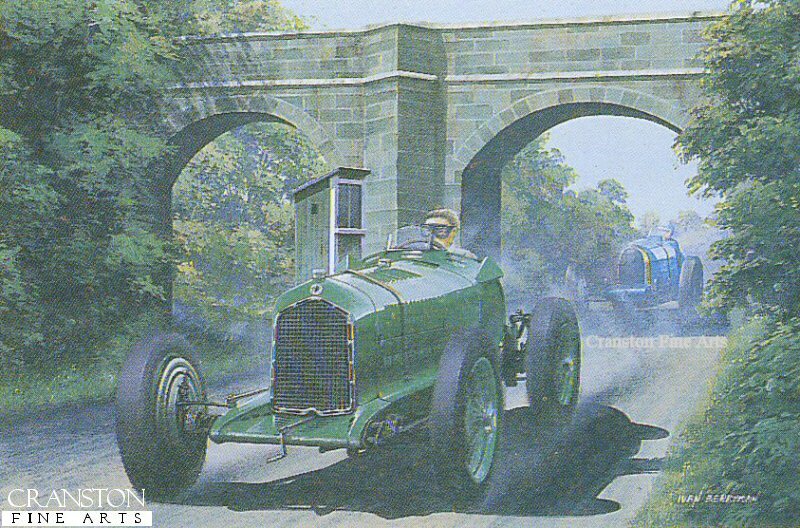 “The Green ‘Un”, as Rubin’s Comet was known, finished fourth in the race to Melbourne, but more significantly it picked up the very newsreel footage you see here and flew straight back to Britain, setting a new round-trip record in to the bargain! Perhaps more significantly in the development of popular long-distance air travel, the second and third places were taken by passenger-carrying airliners, with the KLM-operated Douglas DC-2 Uiver gaining a narrow advantage over Roscoe Turner’s Boeing 247-D, both completing the course less than a day behind the winner. The most dramatic part of the race was when the Uiver, hopelessly lost after becoming caught in a thunderstorm, ended up over Albury NSW. The townsfolk responded magnificently – an engineer at the power station signalled “Albury” to the plane by turning the town lights on and off, and an announcer on radio station 2CO Corowa appealed for cars to line up on the racecourse to light up a runway for the plane. The plane landed, and next morning was pulled out of the mud by locals to fly on and win the handicap section of the race. In gratitude KLM made a large donation to Albury Hospital and Alf Waugh, the Mayor of Albury, was awarded a title in Dutch nobility.